CAT'S EYE's pop'n music banner, as of pop'n music 16.
pop'n music and DanceDanceRevolution use a cover of CAT'S EYE, while jubeat uses the original version of CAT'S EYE. 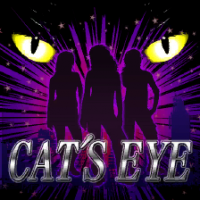 A speed remixed cover of the original CAT'S EYE, titled CAT'S EYE (Ventura Mix), can be found in DanceDanceRevolution 4thMIX PLUS. CAT'S EYE's pop'n music old banner. 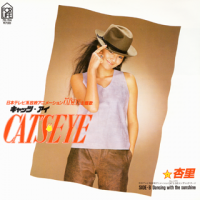 CAT'S EYE is the opening theme of the 1983 Cat's Eye (キャッツ アイ) anime series. Oddly enough, the pop'n music cover of CAT'S EYE was also used in DanceDanceRevolution MUSIC FIT after it was removed from the pop'n music series. CAT'S EYE was removed from jubeat saucer on January 1st, 2013. However, it was later revived on June 1st, 2013. CAT'S EYE was removed from jubeat prop on December 15th, 2015. This page was last edited on 1 April 2019, at 04:20.